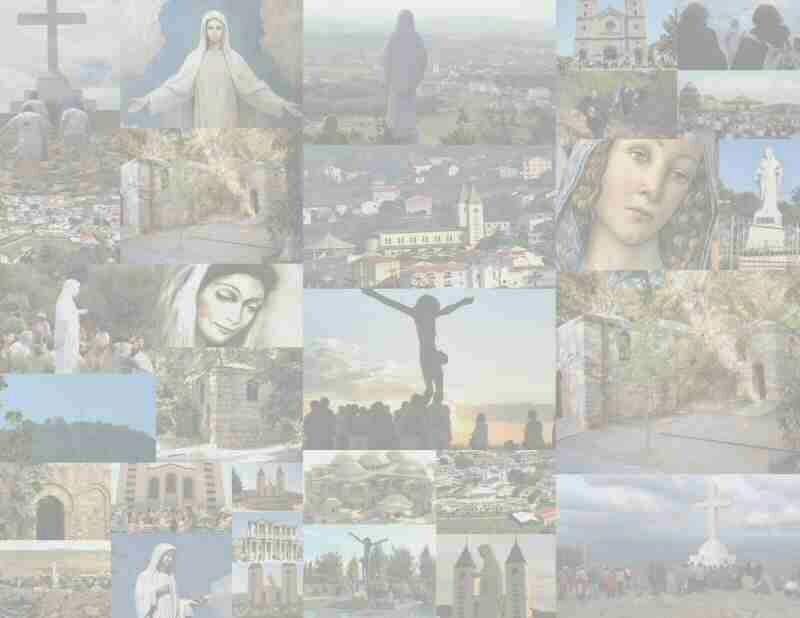 Founded in 1989, Mary's Media is a non profit tax exempt foundation dedicated to the dissemination of information on the Blessed Virgin Mary and other historical documentary films on the early growth of Christianity in Asia, Europe and the western world. Mary's Media Foudation actively promotes the broadcast and sale of its films on television and the internet. We also distribute audio CDs directly to the public on subjects like the history of the Rosary, prophecy, and other related topics of historical religious significance. Please enable HTML 5 to view videos. 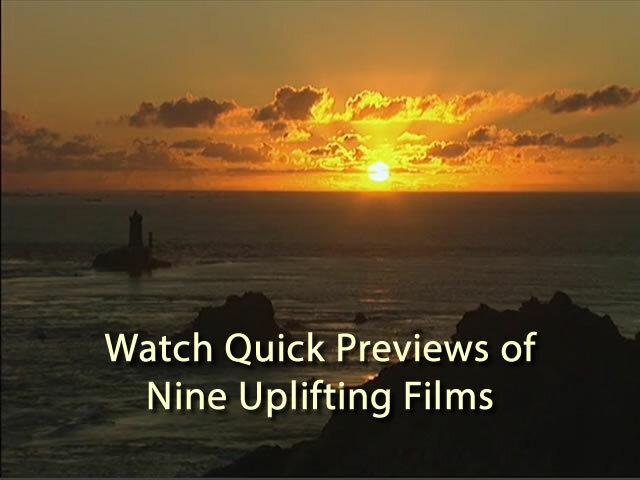 Three powerful and inspirational films for just $30. See below for more information. A film about life ... and what comes after. 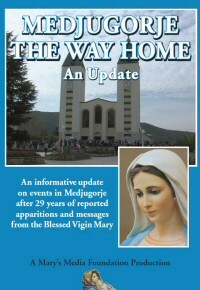 Seven strangers investigate reports of miracles and supernatural phenomena in Medjugorje, Bosnia-Herzegovina, where locals say the Virgin Mary has been appearing since 1981. A very deep, moving, and inspiring film. being closer to fulfillment in the modern world. 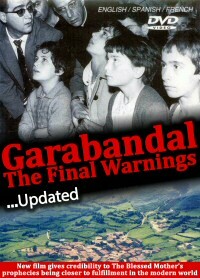 In another attempt to get nations and mankind to repent, change behavior and obey His commandments, Almighty God via the Blessed Mother, gave messages and warnings for the world to four children in Garabandal. "Eldest Daughter of the Church"(France) and "White Dove of Peace" (England) Two Award Winning Documentaries. Over Nine Hours of Fabulous Viewing. A $130 value for just $65. 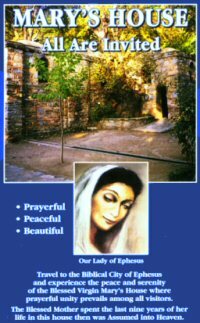 "River of Light"(Mary's appearances in Spain, Portugal, Mexico, US) and "Mary's Land" (Love of Mary defeats devil worldwide). Over five hours of inspirational viewing. A $90 value for just $45. Mary's Land - Dramatic New Film Changing Hearts and Minds! 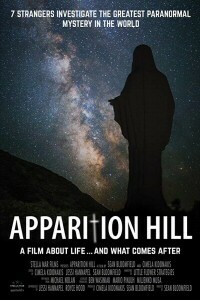 New feature film reveals the existence of God through Blessed Mother's intervention in the world. A humorous devils advocate is foiled wherever he travels. Beautiful footage of God's creation, startling conversion stories and a surprising ending. Now in theaters in Europe, South America, and here! The Devil's Advocate receives a new mission: to fearlessly investigate those who still trust Heaven's formulas. Are they swindlers? Swindled? If he discovers that their beliefs are bogus, our lives will remain the same. But - what if they're not a fairy tale? See details and a preview here. This new film chronicles the rediscovery of the house in Ephesus where the Blessed Virgin spent the last nine years of her life and from which she was assumed into heaven. Pope Benedict XVI Said Mass here Nov. 29, 2006 on His Mission of Peace to Turkey. A young man with a history of alcohol and drug issues is filmed throughout his pilgrimage to Medjigorje. 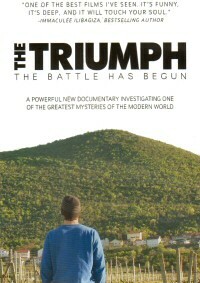 The film dramatizes his exposure to reported apparitions, visionaries and other young people residing in a treatment center in Medjugorje attempting to change their lives. The films conclusion is both surprising and inspiring! 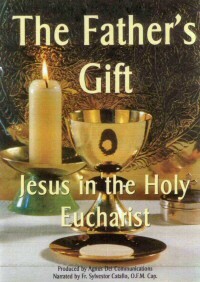 Travel the world and hear dramatic accounts of personal spiritual conversions via the Holy Eucharist. Well respected theologians like Sr. Briege McKenna O.S.C. and Fr. Rene Laurentin provide enlightened spiritual insights on the True Presence of Jesus in the Holy Eucharist. "It's hard to say it's Not from God"
Click here to watch a full preview of the film. This special film is available now. 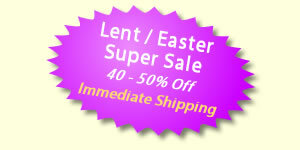 Donations Gratefully Accepted and are used to further promote Mary's Media Foundation Films and to fund new ones. Thank You and May God Bless You.